As a young musician, Neal's dream was like many others?to find success in the pop music world. But after years of struggling in the Los Angeles singer-songwriter scene, he realized that this dream would not materialize. Eschewing conventional wisdom, Morse took a courageous step: He about-faced and devoted himself to progressive rock, the music truly in his heart. The obscure and fiercely competitive genre held little chance of commercial success. Undaunted, he formed the quirkily-named Spock's Beard with his brother, Alan. They recorded The Light with what money they could scrape together. Against all odds, it was a breakout success, sending shockwaves through the small genre's community. Over the next 10 years, Spock's Beard released 10 critically acclaimed CDs and 2 DVDs, ascending to the top of the prog world. Neal also released 6 CDs and 3 DVDs with Transatlantic, the heralded prog supergroup comprised of the genre's best musicians. Morse came to realize that for him, embracing the Christian faith was the fulfillment of his spiritual quest. His walk was at once gradual and sudden?and as with so many, completely unexpected. As he continued, his path increasingly revealed more of what his heart had sought all along. Yet he also began to find his career growing at odds with his faith. The rising spiritual tension and increasing commercial success finally came to a head with the release of Snow (2002), the group's magnum opus...and swan song with Morse. The extraordinary 2-CD rock opera, composed by Morse, was widely acclaimed as the group's finest. But it was the end of the era. Neal felt God calling him out of his former musical life and into the unknown. He made the agonizing decision to leave both Spock's Beard and Transatlantic. Despite having finally achieved the success he had long sought, Morse had to begin all over again; musically, emotionally and spiritually. Neal then embarked upon the most ambitious musical project of his career. Entitled Testimony (2003), it chronicles his spiritual and musical journey in words and music. The 2 CD set spans over two hours as one continuous piece of music. Genre-wise, it ranges from a gospel choir to hard rock; from symphony orchestra to contemporary pop. Testimony was also Neal's first of many albums with drummer Mike Portnoy (Dream Theater). A deftly woven musical tapestry, Testimony takes the listener on a fascinating journey as unique as the man behind it. The ensuing world tour was captured on one unforgettable night for the 2-DVD set, Testimony Live (2004). Morse was recognized as a remarkably passionate and engaging performer by England's Classic Rock Magazine, who included him in their ?100 Greatest Frontmen of Rock? listing. The tour was awarded ?Best Rock Tour? from the popular Dutch website, DPRP, besting nominees Peter Gabriel, Radiohead, RUSH and others. Morse's next studio album was a conceptual, progressive rock album entitled One. Mike Portnoy returned to perform on drums (in what is regarded as perhaps his finest performance), with up-and-coming bassist Randy George. They were joined by legendary guitarist Phil Keaggy. The result was a band-focused sound, harkening back to Neal's Transatlantic work. Continuing in the tradition of Snow and Testimony, One proved epic in scope and sublime in nature. For Morse's third progressive rock album, he took a new approach, artistically. On Question (2005), Morse weaves a compelling storyline that owes as much to C.S. Lewis as Indiana Jones. His journey is a timeless quest?to find the biblical dwelling place of God. Joining Neal are more of prog's brightest stars, including Mike Portnoy and Jordan Rudess (Dream Theater), Roine Stolt (Flower Kings, Transatlantic) and Steve Hackett (Genesis). Bringing Question to the stage required an outstanding tour band. Fusing technical wizardry with musical nuance, a young band of unknowns proved themselves in the fire of Question's musical rollercoaster. The audience responded with energy and passion, with the experience captured on CD. Unrestrained, raw, and magnificent, the resulting 2 CD set Question: Live (2007) was to be further unveiled on the DVD, Sola Sciptura & Beyond. Neal's next prog epic was his most daring, stirring passions and controversy. On Sola Scriptura (2007), Morse tells a compelling and sometimes macabre tale of the darkness that inevitably falls when humankind tries to elevate itself to God. Focusing on the Church in the Middle Ages, Morse is unflinching in his description of its abuses. Neal frames the issue as just one example of faith separated from its true foundations. The album closes not with an end but a beginning?for us to consider our world, and feel called to illuminate it. Question and Sola Scriptura were received as Neal's best to date, and the ensuing tours were captured on film. The ensuing release, Sola Scriptura & Beyond (2008) was an extraordinary live concert 2-DVD set that brought both albums to life. Also included were generous selections from One and Testimony, a Transatlantic section, five songs from Spock's Beard, and an hour of behind-the-scenes tour footage. 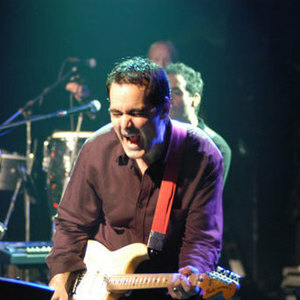 Less than three months later, Neal completed Lifeline (2008), his next studio album. Unlike his other releases, Lifeline wasn't a concept album. Free from this constraint, Neal stretched out in all directions. He revisited early Spock's Beard, Snow, Transatlantic, his solo releases, and launched into new territory. Joining him once again were Mike Portnoy and Randy George. It was the album that fans of Neal and progressive rock the world over had waited for. Press coverage of the album reached from some of Europe's biggest mainstream music publications, to Rolling Stone in Mexico. Twelve years after The Light, Neal continues to blaze new creative trails. In 2009, he shines brighter than ever in the next remarkable chapter in Neal's musical journey.